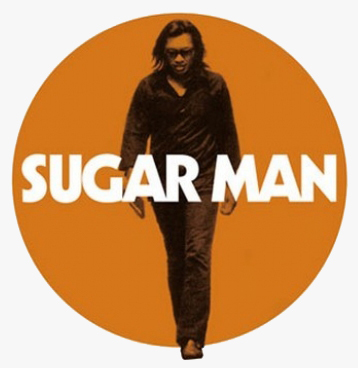 “Searching for Sugar Man” – definition of a true artist. [dropcap2]I[/dropcap2] would never say there is person on this planet who has millions of records sold, who’s known by millions of fans, whose songs were anthems for social changes during 80’s – person who didn’t want to have any financial benefits. I couldn’t believe this outstanding story is real. And this was very true and painful story. “Sugar man” is a documentary made by Malik Bendjelloul Swedish director. He captured magnificent history of Sixto Rodriguez – music artist who released only two albums in his career. Many sound engineers, song writers, musicians, producers who worked with the greatest artists on this planet, were almost sure about Rodriguez’s career- he was better than Bob Dylan and he will be a superstar. After first album “Cold Fact” has been released only few copies been sold in the U.S. Rodriguez was another artist in the major label who tried to sell an album but it didn’t work out. Meanwhile in South Africa (Cape Town) his records hit the top and millions of copy has been made by young generation. Many people had a picture of a superstar from USA. He was more popular than Elvis Presley or The Beatles because of his lyrics pointed against the system and corrupted governments, which was a big issue in South Africa. Documentary’s director started his own investigation because he knew there is more story behind. He started to digging and looking for Rodriguez. His first stop was was almost the end of journey – he got informed Rodriguez committed suicide in dramatic circumstances. During one of the performances he picked up a gun and he shot himself in front of the audience. He poured a gasoline all over himself on the stage and burned like a human torch. This was almost unbelievable. Why he did that? What was the purpose? Any witnesses of this event? When you watch the movie, it’s not like an average documentary. Every minute reveals new facts about Sugar Man’s lifestyle but one moment is groundbreaking. I can’t tell You what it was, but You would newer say this story lead to this direction. Absolutely this movie is the best documentary I’ve seen in the last few months. Thanks to Malik for starting his trip to USA looking for some facts about money, fame and music industry. Paradoxically some of the facts from this move doesn’t match in today’s celebrity lifestyle, which is daily routine to many actors, musicians, performers, singers, writers. This was the most incomprehensible until I watched this movie. In comparison with main character of “Sugar Man” almost all celebrity world cannot be treated as an artists. Some of them will never get the respect and fame like Rodriguez (to this day almost unknown artist). But this is not only about respect and fame – this is about music, which was true passion and could lead Sixto to the top rank of the greatest artists of all times. Did that happened? Watch the movie and see for yourself. Tagged detroit, documentary, rodriguez, searching for sugar man, sugar man, sugarman. Previous: Health Matters #1 | Interior body hygiene. Next:10 mezmerised things from Adobe Creative Days – Warsaw’s event recap.